The Sewer District recognizes the importance of green infrastructure such as rain gardens, bioretention, pervious pavement, and other site-based stormwater management practices in the combined sewer area. 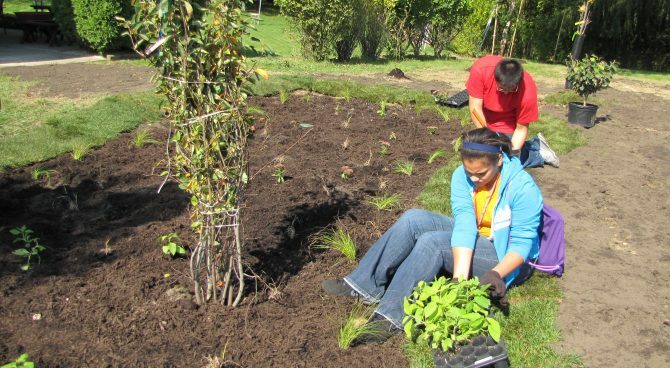 The Green Infrastructure Grants Program is open to member communities, governmental entities, non-profit organizations 501(c)(3), or businesses working in partnership with their communities in the combined sewer area interested in implementing green infrastructure projects that remove stormwater from the combined sewer system. Private, for-profit entities may also put forward projects in partnership with communities or non-profits. Applicants must demonstrate the ability to ensure the long-term ownership and maintenance of these practices. Project partners must download and complete the following forms.